If you need to move water quickly, Atlas Copco's line of WEDA submersible pumps are the perfect solution to your problem. Our dewatering pumps are lightweight, compact and are able to handle flows of up to 5400 gallons of water per minute. Specifically designed and engineered for a variety of applications, there is an Atlas Copco WEDA pump that can help your crew get the job done! From the compact WEDA 10 to the versatile WEDA 60s sludge pump no matter what size job you have ahead of you, Atlas Copco has a dewatering pump that fits your needs. Below you can see all the models of Atlas Copco WEDA pumps carried by Rock Drill Sales or you can view our Atlas Copco catalog. The new Atlas Copco WEDA small range pumps are portable, lightweight and easily maintained. These pumps are ideal for customers in the construction and rental industries, where more compact and more lightweight equipment is in demand. Although these pumps may be small, they are still able to quickly handle most dewatering jobs with ease. 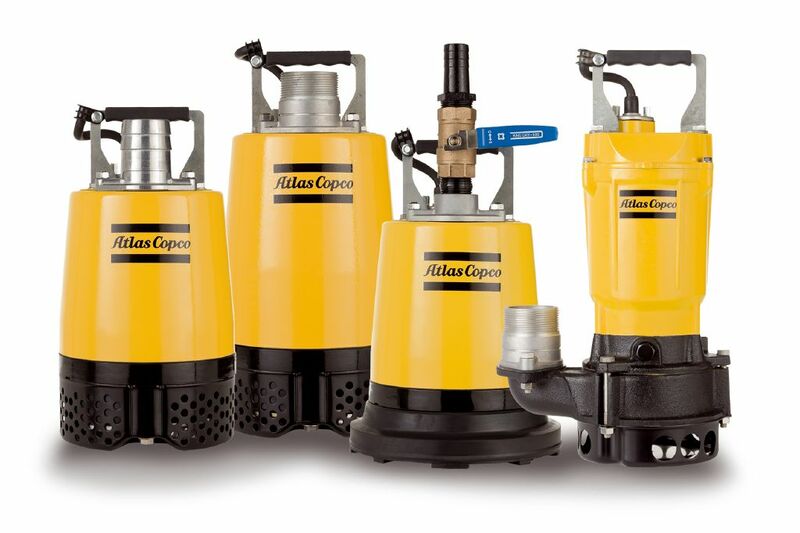 For more information, you can view our full Atlas Copco catalog.